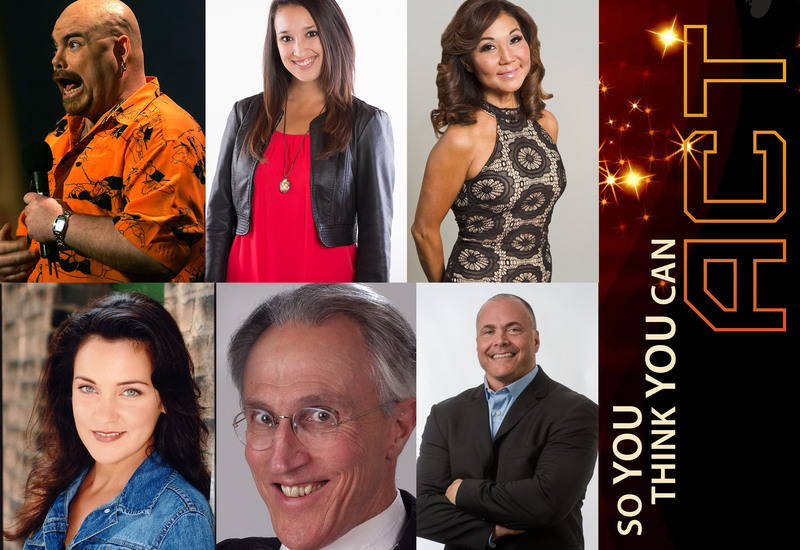 The fifth annual So You Think You Can Act fun fundraiser is Wednesday February 17th and it will be the Fight of the Century. We’ve rallied all of your favourite past celebrity competitors to duke it out for your viewing pleasure. Local celebrities who are famous for anything but acting will be paired with actors to perform scenes. Who will take home the title? There’s only one way to find out. The wonderful and hilarious Founding Artistic Director of the Winnipeg Comedy Festival, Lara Rae will be emceeing all night, doing her very best to keep competitors on track and in line. But she’ll have her work cut out for her because this year’s theme is all about big breaks, fast fame, and huge divas. Al Simmons: Juno Award Winning musical comedy wizard. ‘Al has been called the Thomas Edison of Entertainers.’ Well, let’s see if he can invent his way out of this one! Troy Westwood: Former professional Canadian football player. Troy played for the Winnipeg Blue Bombers for 17 years, earning an All-Star selection in 1992. The bigger they are, the harder they fall! Big Daddy Tazz: Often described as ‘one of the most talented comics in the business’ he’s used to rave reviews and standing ovations. But can he stay in character?! Jenna Khan: Co-Host of ‘Energy Morning’s with Frankie Hollywood’ on Energy 106 FM. Jenna knows how to win over Winnipeggers, but our panel of judges? That’s a whole other story! Tracy Koga: Senior Producer and Host of Shaw Television’s “Backstage”. A former dancer with the Royal Winnipeg Ballet, Tracy has danced all around the world. She can float like a butterfly, can she sting like a bee? Kerri Salki: Produces and Hosts a radio show on 101.5 UMFM. She’s a voiceover actor who’s recorded everything from animated series to apps for smartphones. She could be stacked to slay in this competition, but audiences love an underdog. There all night to make sure these celebrities put their big piles of money where their mouths are is our cutthroat panel of judges, featuring… Pablo Felices-Luna, Artistic Director of MTYP; Ari Weinberg, Artistic Director of Winnipeg Jewish Theatre; and Andrea Del Campo, actor, singer, producer and founding member of Outside Joke. To ring in our 5th year we are offering a VIP package—buy a 5-pack of tickets and reap in some celebrity treatment for yourself. Our High Five All Star Experience entitles your group to wine upon your arrival, reserved seating, and a group photo with the celebrity competitor of your choice! You won’t want to miss this battle royale! Get your tickets to SYTYCA 2016 HERE!